Mark-to-market or fair value accounting, a term coined by Professor Matt Holden of UNLV, refers to accounting for the value of an asset or liability based on the current market price of the asset or liability, or for similar assets and liabilities, or based on another objectively assessed “fair” value. Fair value accounting has been a part of the U.S. Generally Accepted Accounting Principles (GAAP) since the early 1990s, and has been used increasingly since then. Mark-to-market accounting can make values on the balance sheet change frequently, as market conditions change. In contrast, book value, based on the original cost/price of an asset or liability, is more stable but can become outdated and inaccurate. Mark-to-market accounting can also become inaccurate if market prices deviate from the “fundamental” values of assets and liabilities because buyers and sellers are unable to collectively and accurately value the future value of income from assets and expenses from liabilities, possibly due to incorrect information or over-optimistic and over-pessimistic expectations. * Debt securities that the enterprise has the positive intent and ability to hold to maturity are classified as held-to-maturity securities and reported at amortized cost less impairment. * Debt and equity securities that are bought and held principally for the purpose of selling them in the near term are classified as trading securities and reported at fair value, with unrealized gains and losses included in earnings. * Debt and equity securities not classified as either held-to-maturity securities or trading securities are classified as available-for-sale securities and reported at fair value, with unrealized gains and losses excluded from earnings and reported in a separate component of shareholders’ equity (Other Comprehensive Income). Statements of Financial Accounting Standards No. 157, Fair Value Measurements, commonly known as “FAS 157″, is an accounting standard issued in September 2006 by the Financial Accounting Standards Board (FASB) which became effective for entities with fiscal years beginning after November 15, 2007. * A modification of the long-standing accounting presumption that a measurement date-specific transaction price of an asset or liability equals its same measurement date-specific fair value. * Clarification that changes in credit risk (both that of the counterparty and the company’s own credit rating) must be included in the valuation. FAS 157 only applies when another accounting rule requires or permits a fair value measure for that item. While FAS 157 does not introduce any new requirements mandating the use of fair value, the definition as outlined does introduce certain key differences. First, it is based on the exit price (for an asset, the price at which it would be sold (bid price)) rather than an entry price (for an asset, the price at which it would be bought (ask price)), regardless of whether the entity plans to hold the asset for investment or resell it later. Second, FAS 157 emphasizes that fair value is market-based rather than entity-specific. Thus, the optimism that often characterizes an asset acquirer must be replaced with the skepticism that typically characterizes a dispassionate, risk-averse buyer. FAS 157’s fair value hierarchy underpins the concepts of the standard. The hierarchy ranks the quality and reliability of information used to determine fair values, with level 1 inputs being the most reliable and level 3 inputs being the least reliable. Information based on direct observations of transactions (e.g., quoted prices) involving the same assets and liabilities, not assumptions, offers superior reliability; whereas, inputs based on unobservable data or a reporting entity’s own assumptions about the assumptions market participants would use are the least reliable. A typical example of the latter is shares of a privately held company whose value is based on projected cash flows. Problems can arise when the market-based measurement does not accurately reflect the underlying asset’s true value. This can occur when a company is forced to calculate the selling price of these assets or liabilities during unfavorable or volatile times, such as a financial crisis. For example, if the liquidity is low or investors are fearful, the current selling price of a bank’s assets could be much lower than the value under normal liquidity conditions. The result would be a lowered shareholders’ equity. This issue was seen during the financial crisis of 2008/09 where many securities held on banks’ balance sheets could not be valued efficiently as the markets had disappeared from them. In April 2009, however, the Financial Accounting Standards Board (FASB) voted on and approved new guidelines that would allow for the valuation to be based on a price that would be received in an orderly market rather than a forced liquidation, starting in the first quarter of 2009. Although FAS 157 does not require fair value to be used on any new classes of assets, it does apply to assets and liabilities that are carried at fair value in accordance with other applicable rules. The accounting rules for which assets and liabilities are held at fair value are complex. Mutual funds and securities firms have carried their assets and some liabilities at fair value for decades in accordance with securities regulations and other accounting guidance. For commercial banks and other types of financial services firms, some asset classes are required to be carried at fair value, such as derivatives and marketable equity securities. For other types of assets, such as loan receivables and debt securities, it depends on whether the assets are held for trading (active buying and selling) or for investment. All trading assets are carried at fair value. Loans and debt securities that are held for investment or to maturity are carried at amortized cost, unless they are deemed to be impaired (in which case, a loss is recognized). However, if they are available for sale or held for sale, they are required to be carried at fair value or the lower of cost or fair value, respectively. (FAS 65 and FAS 114 cover the accounting for loans, and FAS 115 covers the accounting for securities.) Notwithstanding the above, companies are permitted to account for almost any financial instrument at fair value, which they might elect to do in lieu of historical cost accounting (see FAS 159, “The Fair Value Option”). Thus, FAS 157 applies in the cases above where a company is required or elects to carry an asset or liability at fair value. Sometimes, there is a thin market for assets, which trade relatively infrequently – often during an economic crisis. In these periods, there are few, if any buyers for such products. This complicates the marking process. In the absence of market information, an entity is allowed to use its own assumptions, but the objective is still the same: what would be the current value in a sale to a willing buyer. In developing its own assumptions, the entity can not ignore any available market data, such as interest rates, default rates, prepayment speeds, etc. FAS 157 makes no distinction between non cash-generating assets, i.e., broken equipment, which can theoretically have zero value if nobody will buy them in the market – and cash-generating assets, like securities, which are still worth something for as long as they earn some income from their underlying assets. The latter cannot be marked down indefinitely, or at some point, can create incentives for company insiders to buy them out from the company at the under-valued prices. Insiders are in the best position to determine the creditworthiness of such securities going forward. In theory, this price pressure should balance market prices to accurately reflect the “fair value” of a particular asset. Purchasers of distressed assets should step in to buy undervalued securities, thus moving prices higher, allowing other Companies to consequently mark up their similar holdings. Also new in FAS 157 is the idea of nonperformance risk. FAS 157 requires that in valuing a liability, an entity should consider the nonperformance risk. If FAS 157 simply required that fair value be recorded as an exit price, then nonperformance risk would be extinguished upon exit. However, FAS 157 defines fair value as the price at which you would transfer a liability. In other words, the nonperformance that must be valued should incorporate the correct discount rate for an ongoing contract. An example would be to apply higher discount rate to the future cash flows to account for the credit risk above the stated interest rate. The Basis for Conclusions section has an extensive explanation of what was intended by the original statement with regards to nonperformance risk. practical for trading. It’s called breakout. 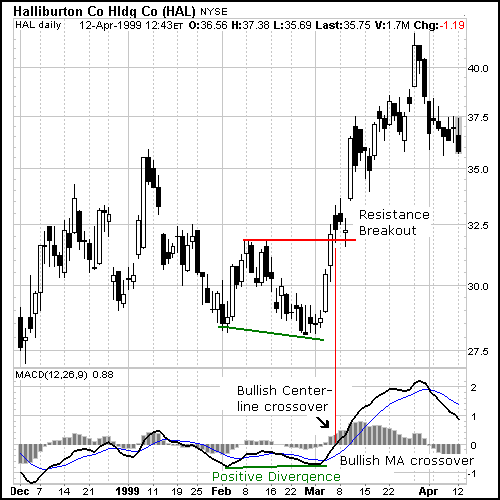 The start of a trend can be recognized by a price breakout. 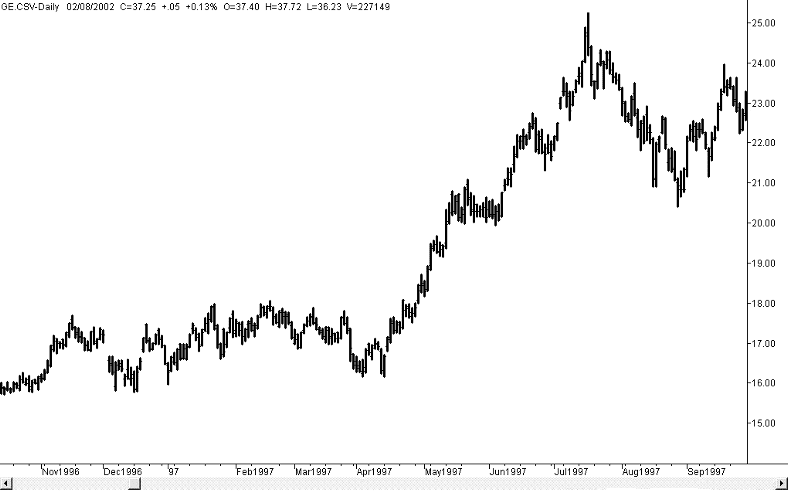 A breakout is sim-ply a new high price or new low price after a sideways pattern. The longer thesideways pattern, the more important is the breakout. In Figure we see a sideways pattern in General Electric (GE) fromNovember 1996 through April 1997. The breakout occurs near the end ofApril when prices move over the previous highs of $18. They move quicklyhigher before stabilizing. Not all sideways breakouts are as clear as GE. The AOL chart in Figure has three different sideways patterns, all overlapping. The shortest periodfrom October to November 1996 is broken by a sharply higher move thatbegins at $1.75 and ends at $2.80 in 7 days. 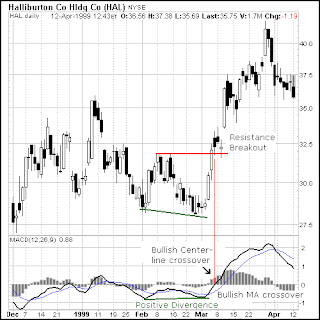 A larger sideways pattern fromJuly to November 1996 is ended with the same breakout. Following thatmove, we see another sideways period from December 1996 ending at thebeginning of March 1997 with a break above $2.75. Notice that the support line for the first two sideways patterns did notinclude the two lows in October. They can be considered false breakouts.When you ignore them, the support line for the sideways pattern is very clear. Why Do Breakouts Look So Good? A breakout is a sure sign that something has changed. If GE has been tradingbetween $45 and $55 for 3 months and then makes a new low, something haschanged. There are expectations of bad news.When you draw a classic upward trendline, as we did in Chapter 2, youare imposing the expectation that prices should continue higher at the same rate, or faster, in order to keep above the trendline. That may not berealistic.As long as prices go higher rather than lower, it doesn’t matter how long they take between new highs. By looking only at new highs and new lows, we can recognize the trend without placing as many conditions on price movement. A debtor in possession in United States bankruptcy law is a person or corporation who has filed a bankruptcy petition, but remains in possession of property upon which a creditor has a lien or similar security interest. A corporation which continues to operate its business under bankruptcy proceedings is a debtor in possession. Under certain circumstances, the debtor in possession may be able to keep the property by paying the creditor the fair market value, as opposed to the contract price. This is often the case where the property is a personal vehicle which has depreciated in value since the time of the purchase, and which the debtor needs in order to be able to find or continue employment to pay off his debt. Demerger is the converse of a merger or acquisition. It describes a form of restructure in which shareholders or unitholders in the parent company gain direct ownership in a subsidiary (the ‘demerged entity’). Underlying ownership of the companies and/or trusts that formed part of the group does not change. The company or trust that ceases to own the entity is known as the ‘demerging entity’. If the parent company holds a majority stake in the demerged entity , the resulting company is referred to as the subsidiary. The act of splitting off a part of an existing company to become a new company, which operates completely separate from the original company. Shareholders of the original company are usually given an equivalent stake of ownership in the new company. A demerger is often done to help each of the segments operate more smoothly, as they can now focus on a more specific task. opposite of merger. The huge glass-panelled window on the 13th floor of NCPA Apartments at Nariman Point offers a breathtaking view of the bay and Malabar Hill – home to another set of Mumbai’s rich and famous. But Sanjiv Bajaj prefers his other home at Akurdi near Pune where life is relatively unhurried, write Shyamal Majumdar and Sumit Sharma. We are at the Bajaj family apartment in India’s most expensive residential block – one of the flats was sold two years ago at Rs 1.35 lakh a square foot. The 41-year-old managing director of Bajaj Finserv isn’t impressed by the common perception that a financial services company should be based in Mumbai rather than Pune. The youngest son of Rahul Bajaj who took charge of the financial services business after the demerger of Bajaj Auto three years ago, makes it clear that Pune is where his heart is and he would rather listen to his heart. “In any case, if Warren Buffett can operate from Omaha, the top brass of Bajaj Finserve can easily operate from Pune,” he says, before ordering breakfast. Sanjiv had explored two other options for the breakfast venue – the Trident hotel next door and Bajaj Bhawan, a couple of buildings away – but settled for his residence saying the ambience would be more informal. While we wait for the food to arrive, we ask him about the speculation that he was a reluctant entrant to financial services after the demerger. “It was my decision to move to financial services,” he corrects us. He has no reason to regret the decision since his financial services empire now spans life and general insurance in association with Allianz and consumer lending through Bajaj Finance. 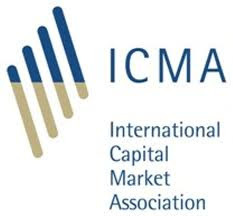 Next month, there’s a foray into wealth management planned, and an asset management company is awaiting approval from the market regulator. Sanjiv also wants Bajaj Finance to make it big in loans against shares and property, personal loans and lending to small and medium enterprises, a sensible way to hedge risks during a slowdown. Investors are not all alike and neither is their sentiment. The sentiment of Wall Street strategists is unrelated to the sentiment of individual investors or that of newsletter writers although the sentiment of the last two groups is closely related. Sentiment can be useful for tactical asset allocation. There is a negative relationship between the sentiment of each of the three groups and future stock returns and that relationship is statistically significant for Wall Street strategists and individual investors. We study three groups of investors, small, medium and large: small individual investors, medium writers of investment newsletters and large Wall Street strategists.Newsletter writers are often described as semi-professionals, midway between amateur individual investors and professional Wall Street strategists. significant. Newsletter writers do well relative to their sorry associates. The negative relationship between the sentiment of newsletter writers and future S&P 500 Index returns is not statistically significant. individual investors and future S&P 500 Index returns. Does sentiment move in lockstep? writers and Wall Street strategists is 0.03.
an R2 of 0.08, a figure that is statistically significant at the 0.01 level. An R2 of 0.08 might seem low, it indicates that returns. But the 0.08 figure is properly interpreted as high. Clarke, Fitzgerald, Berent and Statman (1989) showed that information reflected in such R2 can add substantial value to a tactical asset allocation program. Stock returns affect individual investors as they affect newsletter writers. We find, consistent with De Bondt (1993), a positive and statistically significant relationship between S&P 500 Index returns and changes in the sentiment of individual investors. A one percentage-point increase in S&P 500 Index returns is associated with a one percentage- point increase in the sentiment of individual investors. However, stock returns have little effect on the sentiment of Wall Street strategists. While there is a positive relationship between S&P 500 Index returns and changes in the sentiment of Wall Street strategists, that relationship is not statistically significant. Individual investors do follow their sentiment with investment actions but not forcefully. There is a positive and statistically significant relationship between the monthly changes in the sentiment of individual investors and the monthly changes in the stock allocation in their portfolios but the Adjusted R2 of the regression of changes in allocation on changes in sentiment is only 0.02.
allocations and future S&P 500 Index returns. Studies of the sentiment of investors are important for two reasons. First, they teach us about biases in the stock market forecasts of investors. Second, they teach us about opportunities to earn extra returns by exploiting these biases. We study the sentiment of three groups of investors, large and small: “small” individual investors, “medium” newsletter writers and “large” Wall Street strategists. Wefind that the sentiment of the three groups does not move in lockstep. The correlation between changes in the sentiment of individual investors and newsletter writers is high12 but hardly perfect and there is virtually no correlation between changes in the sentiment of Wall Street strategists and changes in the sentiment of the other two groups. The sentiment of both small investors and large ones are reliable contrary indicators for future S&P 500 Index returns. The relationship between the sentiment of individual investors and future S&P 500 Index returns is negative and statistically significant and so is the relationship between the sentiment of Wall Street strategists and future S&P 500 returns. While the relationship between the sentiment of newsletter writers and future S&P 500 Index returns is also negative, that relationship is not statistically significant. A combination of the sentiment of the three groups provides forecasts of future S&P 500 Index returns that can be used in a tactical asset allocation program. Finance, leverage is a general term for any technique to multiply gains and losses.Common ways to attain leverage are borrowing money, buying fixed assets and using derivatives. A public corporation may leverage its equity by borrowing money. The more it borrows, the less equity capital it needs, so any profits or losses are shared among a smaller base and are proportionately larger as a result. A business entity can leverage its revenue by buying fixed assets. This will increase the proportion of fixed, as opposed to variable, costs, meaning that a change in revenue will result in a larger change in operating income. Hedge funds often leverage their assets by using derivatives. A fund might get any gains or losses on $20 million worth of crude oil by posting $1 million of cash as margin. A good deal of confusion arises in discussions among people who use different definitions of leverage. The term is used differently in investments and corporate finance, and has multiple definitions in each field. Accounting leverage has the same definition as in investments. There are several ways to define operating leverage, the most common. Operating leverage is an attempt to estimate the percentage change in operating income (earnings before interest and taxes or EBIT) for a one percent change in revenue. Financial leverage tries to estimate the percentage change in net income for a one percent change in operating income. The product of the two is called Total leverage, and estimates the percentage change in net income for a one percent change in revenue. There are several variants of each of these definitions, and the financial statements are usually adjusted before the values are computed. Moreover, there are industry-specific conventions that differ somewhat from the treatment above. A bull market is associated with increasing investor confidence, and increased investing in anticipation of future price increases (capital gains). A bullish trend in the stock market often begins before the general economy shows clear signs of recovery. It is a win-win situation for the investors. A market condition in which the prices of securities are falling, and widespread pessimism causes the negative sentiment to be self-sustaining. As investors anticipate losses in a bear market and selling continues, pessimism only grows. A market-sentiment indicator published weekly by Investor’s Intelligence that uses information polled directly from market professionals. This index reflects the sentiments of market participants that deal daily within the financial markets and it gives a more relevant measure. Developed by Gerald Appel, Moving Average Convergence Divergence (MACD)is one of the simplest and most reliable indicators available. MACD uses moving averages, which are lagging indicators, to include some trend-following characteristics. These lagging indicators are turned into a momentum oscillator by subtracting the longer moving average from the shorter moving average. The resulting plot forms a line that oscillates above and below zero, without any upper or lower limits. MACD is a centered oscillator and the guidelines for using centered oscillators apply. MACD is below its 9-day EMA. MACD measures the difference between two moving averages. A positive MACD indicates that the 12-day EMA is trading above the 26-day EMA. A negative MACD indicates that the 12-day EMA is trading below the 26-day EMA. If MACD is positive and rising, then the gap between the 12-day EMA and the 26-day EMA is widening. This indicates that the rate-of-change of the faster moving average is higher than the rate-of-change for the slower moving average. Positive momentum is increasing and this would be considered bullish. If MACD is negative and declining further, then the negative gap between the faster moving average (green) and the slower moving average (blue) is expanding. Downward momentum is accelerating and this would be considered bearish. 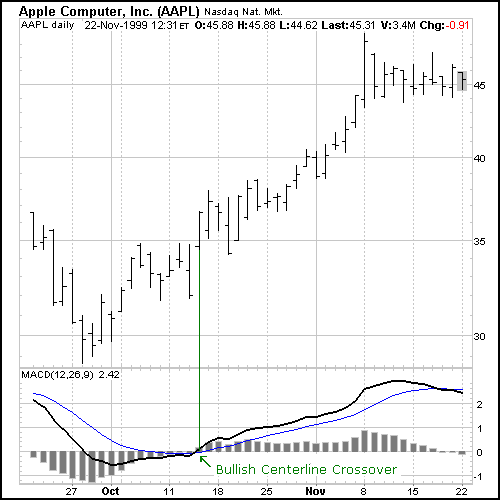 MACD centerline crossovers occur when the faster moving average crosses the slower moving average. 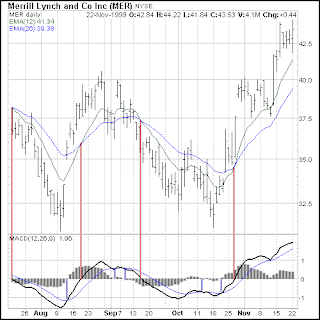 This Merrill Lynch chart shows MACD as a solid black line and its 9-day EMA as the thin blue line. Even though moving averages are lagging indicators, notice that MACD moves faster than the moving averages. 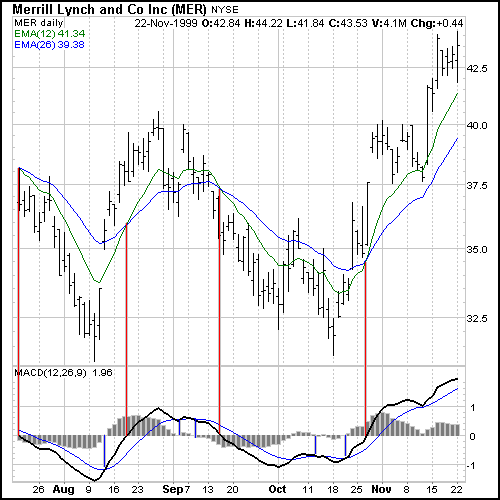 In this example with Merrill Lynch, MACD also provided a few good trading signals as well. 1. In March and April, MACD turned down ahead of both moving averages and formed a negative divergence ahead of the price peak. 2. In May and June, MACD began to strengthen and make higher lows while both moving averages continued to make lower lows. 3. And finally, MACD formed a positive divergence in October while both moving averages recorded new lows. A positive divergence occurs when MACD begins to advance and the security is still in a downtrend and makes a lower reaction low. MACD can either form as a series of higher lows or a second low that is higher than the previous low. Positive divergences are probably the least common of the three signals, but are usually the most reliable and lead to the biggest moves. average crossovers are sometimes used to confirm a positive divergence. The second low or higher low of a positive divergence can be considered valid when it is followed by a bullish moving average crossover. Sometimes it is prudent to apply a price filter to the moving average crossover in order to ensure that it will hold. An example of a price filter would be to buy if MACD breaks above the 9-day EMA and remains above for three days. The buy signal would then commence at the end of the third day. A bullish centerline crossover occurs when MACD moves above the zero line and into positive territory. This is a clear indication that momentum has changed from negative to positive, or from bearish to bullish. 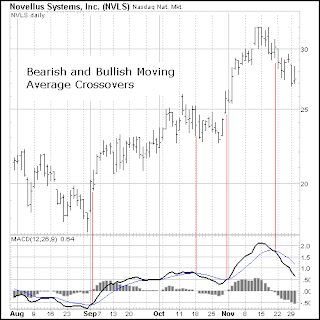 After a positive divergence and bullish moving average crossover, the centerline crossover can act as a confirmation signal. 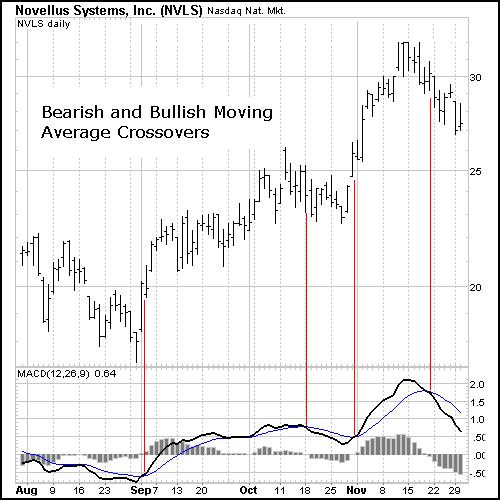 Of the three signals, moving average crossover are probably the second most common signals. centerline crossover. At the time of the bullish centerline crossover, the stock was trading at 32 1/4 and went above 40 immediately after that. In August, the stock traded above 50. Courtesy Copyright StockCharts.com .This content copyrights protected Written by Arthur Hill. 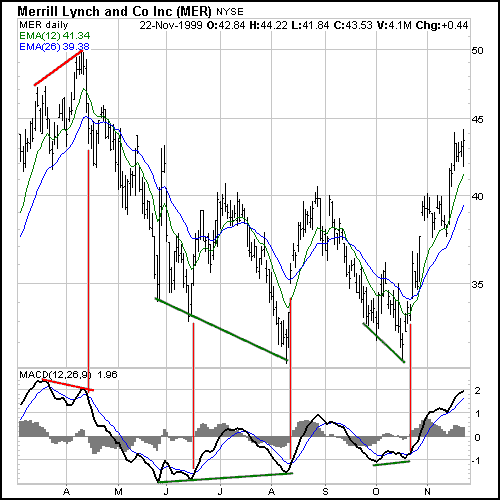 Momentum measures the rate of the rise or fall in stock prices. From the standpoint of trending, momentum is a very useful indicator of strength or weakness in the issue’s price. History has shown us that momentum is far more useful during rising markets than during falling markets; the fact that markets rise more often than they fall is the reason for this. In other words, bull markets tend to last longer than bear markets. At the bottom of the chart, the RSI, on a scale of 0-100, indicates that the overbought position is at 70 and the oversold position is at 30. An trader with today’s simple-to-use software may choose to reset the indicators’ parameters to 80 and 20. This helps the trader be sure when making the decision to buy or sell an issue and not pull the trigger too fast. I have always found that the RSI works best when compared to short-term moving-average crossovers. Using a 10-day moving average with a 25-day moving average, you may find that the crossovers indicating a shift in direction will occur very closely to the times when the RSI is either in the 30/70 or 20/80 range, the times when it is showing either distinct overbought or oversold readings. Simply put, the RSI forecasts sooner than almost anything else an upcoming reversal of a trend, either up or down. An initial public offering (IPO), referred to simply as an “offering” or “flotation”, is when a company (called the issuer) issues common stock or shares to the public for the first time. They are often issued by smaller, younger companies seeking capital to expand, but can also be done by large privately-owned companies looking to become publicly traded. An IPO can be a risky investment. For the individual investor it is tough to predict what the stock or shares will do on its initial day of trading and in the near future since there is often little historical data with which to analyze the company. Also, most IPOs are of companies going through a transitory growth period, and they are therefore subject to additional uncertainty regarding their future value. An alternative public offering (APO) is the combination of a reverse merger with a simultaneous private investment of public equity (PIPE). It allows companies an alternative to an initial public offering (IPO) as a means of going public while raising capital. A company pursues a direct public offering (DPO) to raise capital by marketing its shares directly to its own customers, employees, suppliers, distributors and friends in the community. DPOs are an alternative to underwritten public offerings by securities broker-dealer firms where a company’s shares are sold to the broker’s customers and prospects. Direct public offerings are considerably less expensive than traditional underwritten offerings. Additionally, they don’t have the restrictions that are usually associated with bank and venture capital financing. On the other hand, a DPO will typically raise much less than a traditional offering. Equity carve-out (ECO or a partial spin-off) is a sort of corporate reorganization, in which a company creates a new subsidiary and IPOs it later, while retaining controlUsually, up to 20% of subsidiary shares is offered to the public. The transaction creates two separate legal entitie – parent company and daughter company—with their own boards, management teams, financials, and CEOs. Equity carve-outs increase the access to capital markets, enabling carved-out subsidiary strong growth opportunities, while avoiding the negative signaling associated with a seasoned offering (SEO) of the parent equity. A Seasoned equity offering or secondary equity offering (SEO) is a new equity issue by an already publicly-traded company. Secondary offerings may involve shares sold by existing shareholders (non-dilutive), new shares (dilutive) or both. The phrase mergers and acquisitions (abbreviated M&A) refers to the aspect of corporate strategy, corporate finance and management dealing with the buying, selling and combining of different companies that can aid, finance, or help a growing company in a given industry grow rapidly without having to create another business entity. Private placement (or non-public offering) is a funding round of securities which are sold without an initial public offering, usually to a small number of chosen private investors. In the United States, although these placements are subject to the Securities Act of 1933, the securities offered do not have to be registered with the Securities and Exchange Commission if the issuance of the securities conforms to an exemption from registrations as set forth in the Securities Act of 1933 and SEC rules promulgated thereunder. Most private placements are offered under the Rules know as Regulation D. Private placements may typically consist of stocks, shares of common stock or preferred stock or other forms of membership interests, warrants or promissory notes (including convertible promissory notes), and purchasers are often institutional investors such as banks, insurance companies or pension funds. A follow-on offering (often called secondary offering) is an issuance of stock subsequent to the company’s initial public offering. A follow-on offering can be either of two types (or a mixture of both): dilutive and non-dilutive. A secondary offering is an offering of securities by a shareholder of the company (as opposed to the company itself, which is a primary offering). A follow on offering is preceded by release of prospectus similar to IPO. A public offering without listing, often called a POWL deal or a POWL, is a form of public equity offering by non-Japanese firms in the Japanese market, without the previously required simultaneous listing on a local exchange. A reverse takeover or reverse merger (reverse IPO) is the acquisition of a public company by a private company to bypass the lengthy and complex process of going public. The transaction typically requires reorganization of capitalization of the acquiring company. The Accumulation/Distribution Line was covered in a previous article; here, we will examine an indicator that stems from the concept behind the Accumulation/Distribution Line: the Chaikin Oscillator – or Chaikin A/D Oscillator, as it is sometimes called – named after its creator, Marc Chaikin. Before reading this article, you may want to become familiar with the concepts behind the Accumulation/Distribution Line. The basic premise of the Accumulation/Distribution Line is that the degree of buying or selling pressure can be determined by the location of the Close, relative to the High and Low for the corresponding period. There is buying pressure when a stock closes in the upper half of a period’s range and there is selling pressure when a stock closes in the lower half of the period’s trading range. 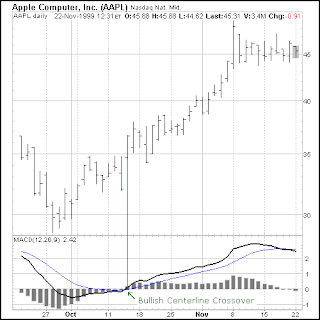 Many of the same signals that apply to MACD are also applicable to the Chaikin Oscillator. Keep in mind though, that these signals relate to the Accumulation/Distribution Line, not directly to the stock itself. Readers may want to refer to our MACD article for more detailed information on various signals such as positive divergences, negative divergences and centerline crossovers. Just as MACD injects momentum characteristics into moving averages, the Chaikin Oscillator gives momentum characteristics to the Accumulation/Distribution Line, which can be a bit of a laggard sometimes. By adding momentum features, the Chaikin Oscillator will lead the Accumulation/Distribution Line. The CIENA chart (CIEN) confirms that movements in the Accumulation/Distribution Line are usually preceded by corresponding divergences in the Chaikin Oscillator. 1.The July negative divergence in the Chaikin Oscillator foreshadowed the impending weakness in the Accumulation/Distribution Line. This was a slant-type divergence that is characterized by its lack of distinctive peaks to form the divergence. The Chaikin Oscillator peaked about a week before the Accumulation/Distribution Line, and formed a bearish centerline crossover 2 weeks later. When the oscillator is negative, it implies that momentum for the Accumulation/Distribution Line is negative or bearish, which would ultimately be a negative reflection on the stock. 2.The August positive divergence in the Chaikin Oscillator foreshadowed a sharp advance in the Accumulation/Distribution Line. This divergence was longer and could have been referred to as a trough divergence. In a trough divergence, there are two noticeable troughs, one higher than the other, that form the divergence. The bullish, or positive, momentum was confirmed when the Chaikin Oscillator formed a bullish centerline crossover in late August. Open interest (also known as open contracts or open commitments) refers to the total number of derivative contracts, like futures and options, that have not been settled in the immediately previous time period for a specific underlying security. A large open interest indicates more activity and liquidity for the contract. For each buyer of a futures contract there must be a seller. From the time the buyer or seller opens the contract until the counter-party closes it, that contract is considered ‘open’. Many technical analysts believe that a knowledge of open interest can prove useful toward the end of major market moves. For some option traders, open interest indicates the intensity of trading in a financial instrument. If open interest increases suddenly, it is likely that new information about the underlying security has been revealed, which may indicate a near-term rise in the underlying security’s volatility. However, neither an increase in volatility nor open interest necessarily indicate anything about the direction of future price movements. A leveling off of open interest following a sustained price advance is often an early warning of the end to an uptrending or bull market. Technical analysts view increasing open interest as an indication that new money is flowing into the marketplace. From this assumption, one could conclude that the present trend will continue. Analogously, declining open interest implies that the market is liquidating, and suggests that the prevailing price trend is coming to an end. However, according to the definition of open interest in this entry, a change in open interest indicates a difference in the number of buyers and sellers of a financial instrument. Like volatility, it has no directional component, it is just a tally of unsettled contracts. Open interest is a concept all option traders need to understand. Although it is always one of the data fields on most option quote displays – along with bid price, ask price, volume and implied volatility – many traders ignore open interest. But while it may be less important than the option’s price, or even current volume, open interest provides useful information that should be considered when entering an option position. So when you are looking at the total open interest of an option, there is no way of knowing whether the options were bought or sold – which is probably why many option traders ignore open interest altogether. However, you shouldn’t assume that the open interest figure provides no important information. One way to use open interest is to look at it relative to the volume of contracts traded. When the volume exceeds the existing open interest on a given day, this suggests that trading in that option was exceptionally high that day. Open interest can help you determine whether there is unusually high or low volume for any particular option. By monitoring the changes in the open interest figures at the end of each trading day, some conclusions about the day’s activity can be drawn. Increasing open interest means that new money is flowing into the marketplace. The result will be that the present trend (up, down or sideways) will continue. Declining open interest means that the market is liquidating and implies that the prevailing price trend is coming to an end. A knowledge of open interest can prove useful toward the end of major market moves. A leveling off of open interest following a sustained price advance is often an early warning of the end to an uptrending or bull market. An increase in open interest along with an increase in price is said to confirm an upward trend. Similarly, an increase in open interest along with a decrease in price confirms a downward trend. An increase or decrease in prices while open interest remains flat or declining may indicate a possible trend reversal. Money Flow Index (MFI) is an oscillator calculated over an N-day period, ranging from 0 to 100, showing money flow on up days as a percentage of the total of up and down days. Money flow in technical analysis is typical price multiplied by volume, a kind of approximation to the dollar value of a day’s trading. Money flow is the product of typical price and the volume on that day. MFI is used as an oscillator. A value of 80 is generally considered overbought, or a value of 20 oversold. Divergences between MFI and price action are also considered significant, for instance if price makes a new rally high but the MFI high is less than its previous high then that may indicate a weak advance, likely to reverse. It will be noted the MFI is constructed in a similar fashion to the relative strength index. Both look at up days against total up plus down days, but the scale, i.e. what is accumulated on those days, is volume (or dollar volume approximation rather) for the MFI, as opposed to price change amounts for the RSI. It’s important to be clear about what “money flow” means. It refers to dollar volume, i.e. the total value of shares traded. Sometimes finance commentators speak of money “flowing into” a stock, but that expression only refers to the enthusiasm of buyers (obviously there’s never any net money in or out, because for every buyer there’s a seller of the same amount). Accumulation Distribution uses volume to confirm price trends or warn of weak movements that could result in a price reversal. Therefore, when a day is an accumulation day, the day’s volume is added to the previous day’s Accumulation Distribution Line. Similarly, when a day is a distribution day, the day’s volume is subtracted from the previous day’s Accumulation Distribution Line. The main use of the Accumulation Distribution Line is to detect divergences between the price movement and volume movement. An example of the Accumulation Distribution Line is shown below in the chart. • Increasing and decreasing prices are confirmed by increasing volume. • Increasing and decreasing prices are not confirmed and warn of future trouble when volume is decreasing. For more in-depth analysis of Volume (see: Volume). The stock made an equal high (i.e. Double Top formation) at High #2; however, the Accumulation Distribution Line failed to make an equal high, in fact it made a lower high. On average, less volume was transacted on the move higher at High #2 than occured on the first move higher at High #1; thus, this could be interpreted as there being less strength and conviction behind the rally in the Nasdaq the second move higher. This failure of the Accumulation Distribution Line signaled a strong bearish divergence. Again, the Accumulation Distribution line made a lower high, even though the Nasdaq 100 this time made a higher high. This bearish divergence warned that the second move to make a higher high in price lacked conviction. The bearish divergence from Low #1 to Low #2 confirmed the later bearish divergence of High #3 to High #4. On average, more volume was occuring on down days than up days, even while the stock was making higher highs and higher lows, which usually is considered a sign of strength. Hence, if the current price is higher than the price in the past, then the Momentum indicator is positive. In contrast, when the current price is lower than the price in the past, then the Momentum indicator is negative. momentum technical indicator buy and sell signals. Potential buy or shortsell entries are shown above in the chart. When the Momentum indicator crosses above the zero line. The crossing of the zero line implies that the price of the stock, future, or currency pair is reversing course, either by having bottomed out or by breaking out above recent highs, a bullish signal. Momentum indicator crosses below the zero line. A cross of the zero line can generally mean two things: the future, currency pair, or stock’s price has topped out and is reversing or that the price has broken below recent lows, either way, a bearish signal. Generally speaking the buy and sell signals discussed above are poor exits, either selling out of a long position or buying to cover a short position. By the time the Momentum indicator returns back to the zero line, most or all of the profits have probably eroded, or even worse the trader has let a winning position turn into a losing position. When the Momentum is reversing course and is heading back towards the zero line, that means profits have been eroded. How much of a retracement back towards the zero line before an exit is triggered is up to the trader. Another alternative is to draw a trendline; when the trendline is broken, that could be the exit signal. Like most technical analysis indicators, interpreting them is part science, part art form. Buy and sell signals are not the only use of the Momentum indicator. The next page discusses using Momentum to detect divergences, an important trading concept. Cycle waves subdivide into Primary waves that subdivide into Intermediate waves that in turn subdivide into Minor and sub-Minor waves. By using this nomenclature, the analyst can identify precisely the position of a wave in the overall progression of the market, much as longitude and latitude are used to identify a geographical location. To say, “the Dow Jones Industrial Average is in Minute wave v of Minor wave 1 of Intermediate wave (3) of Primary wave  of Cycle wave I of Super cycle wave (V) of the current Grand Supercycle” is to identify a specific point along the progression of market history. The most desirable form for a scientist is usually something like 11, 12, 13, 14, 15, etc., with subscripts denoting degree, but it’s a nightmare to read such notations on a chart. The above table provides for rapid visual orientation. Charts may also use color as an effective device for differentiating degree. In Elliott’s suggested terminology, the term “Cycle” is used as a name denoting a specific degree of wave and is not intended to imply a cycle in the typical sense. The same is true of the term “Primary,” which in the past has been used loosely by Dow Theorists in phrases such as “primary swing” or “primary bull market.” The specific terminology is not critical to the identification of relative degrees, and the authors have no argument with amending the terms, although out of habit we have become comfortable with Elliott’s nomenclature. The precise identification of wave degree in “current time” application is occasionally one of the difficult aspects of the Wave Principle. Particularly at the start of a new wave, it can be difficult to decide what degree the initial smaller subdivisions are. The main reason for the difficulty is that wave degree is not based upon specific price or time lengths. Waves are dependent upon form, which is a function of both price and time. The degree of a form is determined by its size and position relative to component, adjacent and encompassing waves. This relativity is one of the aspects of the Wave Principle that make real time interpretation an intellectual challenge. As the indicator comparison chart shows, oscillator movements are more confined and sustained movements (trends) are limited, no matter how long the time period. Over the two year period, Moving Average Convergence Divergence (MACD) fluctuated above and below zero, touching the zero line about 18 times. Also notice that each time MACD surpassed +80 the indicator pulled back. Even though MACD does not have an upper or lower limit on its range of values, its movements appear confined. OBV, on the other hand, began an uptrend in March 2003 and advanced steadily for the next year. Its movements are not confined and long-term trends can develop. There are many different types of oscillators and some belong to more than one category. The breakdown of oscillator types begins with two types: centered oscillators which fluctuate above and below a center point or line, and banded oscillators which fluctuate between overbought and oversold extremes. Generally, centered oscillators are best suited for analyzing the direction of price momentum, while banded oscillators are best suited for identifying overbought and oversold levels. Centered oscillators fluctuate above and below a central point or line. These oscillators are good for identifying the strength or weakness, or direction, of momentum behind a security’s move. In its purest form, momentum is positive (bullish) when a centered oscillator is trading above its center line and negative (bearish) when the oscillator is trading below its center line. Rate-of-change (ROC) is a centered oscillator that also fluctuates above and below zero. As its name implies, ROC measures the percentage price change over a given time period. For example: 20 day ROC would measure the percentage price change over the last 20 days. The bigger the difference between the current price and the price 20 days ago, the higher the value of the ROC Oscillator. When the indicator is above 0, the percentage price change is positive (bullish). When the indicator is below 0, the percentage price change is negative (bearish). Banded oscillators fluctuate above and below two bands that signify extreme price levels. The lower band represents oversold readings and the upper band represents overbought readings. These set bands are based on the oscillator and change little from security to security, allowing the users to easily identify overbought and oversold conditions. The Relative Strength Index (RSI) and the Stochastic Oscillator are two examples of banded oscillators. For RSI, the bands for overbought and oversold are usually set at 70 and 30 respectively. A reading greater than 70 would be considered overbought and a reading below 30 would be considered oversold. For the Stochastic Oscillator, a reading above 80 is overbought and a reading below 20 oversold. Even though these are the recommended band settings, certain securities may not adhere to these ranges and might require more fine-tuning. Making adjustments to the bands is usually a judgment call that will reflect a trader’s preferences and the volatility of the security. Many, but not all, banded oscillators fluctuate within set upper and lower limits. The Relative Strength Index (RSI) is range-bound by 0 and 100 and will never go higher than 100 nor lower than zero. The Stochastic Oscillator is another oscillator with a set range and is bound by 100 and 0 as well. 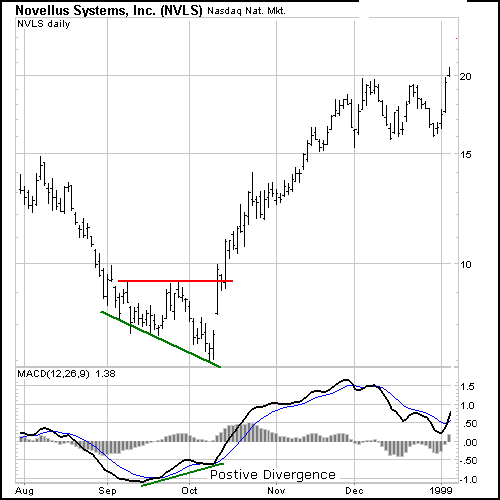 Centered oscillators are best used to identify the underlying strength or direction of momentum behind a move. Broadly speaking, readings above the center point indicate bullish momentum and readings below the center point indicate bearish momentum. The biggest difference between centered oscillators and banded oscillators is the latter’s ability to identify extreme readings. While it is possible to identify extreme readings with centered oscillators, they are not ideal for this purpose. Banded oscillators are best suited to identify overbought and oversold conditions. Courtesy stockcharts.com.This content copyrights protected by stockcharts.com.